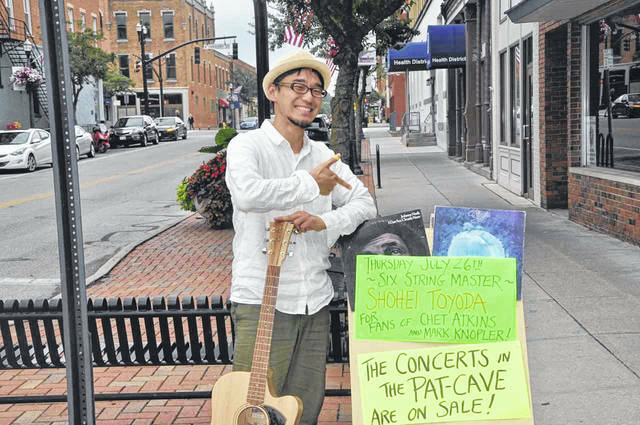 Guitarist Shohei Toyoda, raised in Dublin and now living in his native country of Japan, returns to central Ohio to perform at Pat’s Endangered Species on Thursday night. 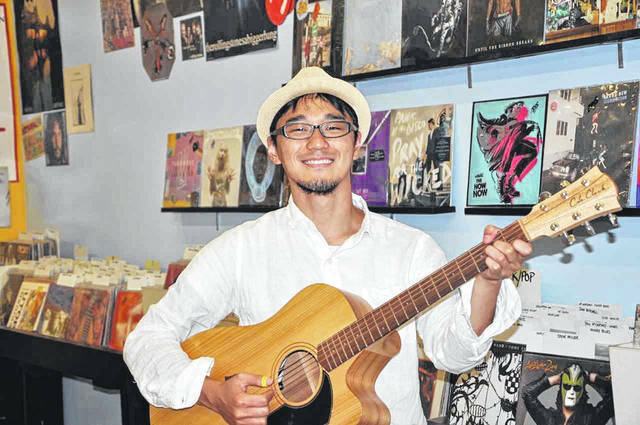 Toyoda will perform his own music, as well as covers from some of music’s most legendary names, in a venue that is not too common in today’s age. In the age of digital downloads, music record stores are few and far in between. Located in Delaware at 11 W. Winter St. and appropriately titled Pat’s Endangered Species, the downtown business is doing its part to keep the tradition of buying vinyl alive. In addition to providing one of the few record store experiences still available today, Endangered Species will host a special guest on Thursday night in guitarist Shohei Toyoda. Toyoda was born in Japan but moved to America in 1989 when he was 4 years old. He was raised in Dublin, Ohio, attending Dublin Coffman High School. After high school, Toyoda attended the prestigious Berklee College of Music, the world’s largest independent college of contemporary music and the training grounds for a laundry list of great musicians. When his father moved to Thailand for work in 2012, Toyoda went back to his native country where he resides today. He makes the return trip to America and the Buckeye state every year and stays with Delaware resident Nancy Campbell, the mother of one of Toyoda’s high school friends, while he is in town. Toyoda first started playing the guitar when he was 13 years old, but his father used to play a classical nylon guitar that Toyoda would strum on. Asked about his influences, Toyoda wastes no time in talking about “Mr. Guitar” Chet Atkins, who produced stars such as Elvis and Dolly Parton, and so many more. One of the things Toyoda said stands out the most about Atkins was that he would account for a variety of sounds — bass, rhythms and melodies — all at once. Toyoda said he met a professor during his last semester at Berklee who was a disciple of Atkins, which began his fixation with the musician and producer. In addition to Atkins, Toyoda also cited Tommy Emmanuel, who is an Atkins protege, The Beatles, and even Ed Sheeran as key influences. To keep his shows fresh, Toyoda mixes in covers of songs from legendary artists such as Bob Dylan, Ray Charles, and, of course, The Beatles as well. He will also perform Japanese songs to provide a different type of melody. In talking about the differences in playing in front of crowds in America and Japan, Toyoda noted how much more interactive American audiences can be during the show, something he certainly encourages. “A live concert isn’t just about me. It’s me and the crowd making the situation,” he said. As for where he hopes his music will take him next, Toyoda is more than happy to ride the wave, wherever that may lead. He said Australia is a place he wants to visit in the near future. Regardless, he’s not the type to try to map out his future plans, instead choosing to enjoy each moment for what it is and let things fall as they may. The doors at Pat’s Endangered Species will open at 7:30 p.m. on Thursday, with the show beginning at 8 p.m. Tickets are $8 and can be purchased at the record store. Toyoda will also be performing at Java Central in Westerville at 3 p.m. on Sunday, July 29.